The largest wilderness in Colorado, the Weminuche wilderness contains a significant part of the San Juan Mountains near the towns of Durango, Silverton, and Pagosa Springs Colorado. The area is known for its difficult and rugged terrain that ranges from the deep Animas river gorge to the tops of jagged peaks in the Needle Range that lie immediately to the east. The Weminuche wilderness (pronounced ‘why-meh-nuke-ee’) consists of an area uplifted during a period of volcanic activity eons ago. Recent ice-ages have left their mark on the landscape as well. The glaciers left sharp turrets and jagged peaks separated by lake studded alpine valleys. Nowhere else in Colorado do the mountains take on such a wild and rugged nature as they do in the heart of the San Juan Mountains… and the Weminuche wilderness captures the unspoiled heart of it all. The Weminuche wilderness is split into two pieces by the Animas River gorge and the Durango-Silverton narrow guage railroad that winds along it. The smaller western portion contains the West Needle Mountains. This small sub-range contains several peaks that rise gradually to their summits from the west but drop steeply to the Animas gorge to the east. Beyond the Animas River lie the Needle Mountains proper, a rugged range of volcanic origin which consist of a series of wildly rugged peaks. Three of these peaks summit above fourteen thousand feet: Sunlight, Eolus and Windom peaks. These three form part of the ring of high peaks that surround the Chicago basin, a rugged alpine valley in the heart of the Needle Mountains. The Chicago basin is the most visited area of the Weminuche due to its beauty and access to the nearby fourteen thousand foot peaks. The northern end of the Needle Mountains are terminated by an east-west sub-range of imposing peaks called the Grenadier Range. Storm King, Trinity, Vestal, Arrow and Electric peaks are a few of the named peaks that are contained within the Grenadiers. They form a lofty backdrop above the Elk Creek drainage to the north. The Vallecito Creek cuts the Needle Range off from the rest of the Weminuche. The Vallecito drains south from the Continental Divide on the northern wilderness boundary clear to the southern edge where it flows into Vallecito Reservoir. To the north, just beyond the Grenadiers and Elk Creek, the Highland Mary Lakes dot an uplifted rolling area of highlands just southeast of the town of Silverton. Not too far to the east, the rolling alpine tundra of the Highlands gives way to the peaks forming the spine of the Continental Divide. In this district, the jagged and wild nature of the Needle Mountains subsides, giving way to peaks with gentler summits intersected by glacial valleys. Ute Creek, Weminuche, Squaw and Little Squaw creeks cut a series of broad U-shaped north-south oriented valleys with forested upper slopes. To the north-east, the wilderness boundary is framed largely by the broad Rio Grande valley. It’s name sake is the famous Rio Grande River whose headwaters are located here. Furthest south, the Piedra Mountain, Pagosa Peak and Sheep Mountain form a tangle of high peaks as the Continental Divide dives south toward Wolf Creek Pass and the southern portion of the San Juan mountains. The towns of Durango, Silverton, and Pagosa Springs serve as the best jumping-off points for a trip into the Weminuche. The Durango-Silverton narrow guage railroad is a popular option for hikers and sight-seers desiring to visit the western end of the area. A pleasant time to visit the Weminuche wilderness is mid-July to early September. Winter snow can last until early July. During the summer monsoon season, stormy weather will affect your backcountry experience July through early September. Whenever visiting the Colorado high country, always be prepared for rain or even snow. See the Colorado Backpacking Guide for more information about Colorado backcountry safety and trip planning. At this time the National Forest Service does not require purchasing permits when visiting the wilderness. The wilderness is open to public. Please abide by all posted trail head signage. 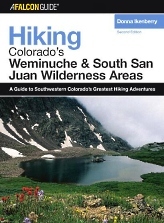 There are countless hiking and backpacking options in the Weminuche. I’ve selected a few popular options to show here. 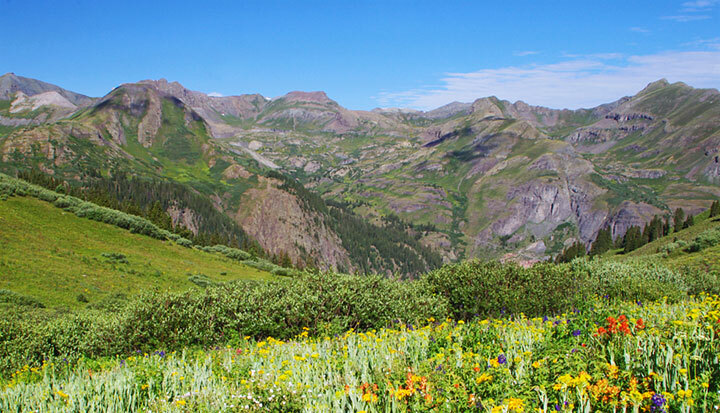 Majestic views of the Grenadier range are yours on this loop hike in the western Weminuche near the town of Silverton. The trail ascends above treeline to several high altitude lakes. 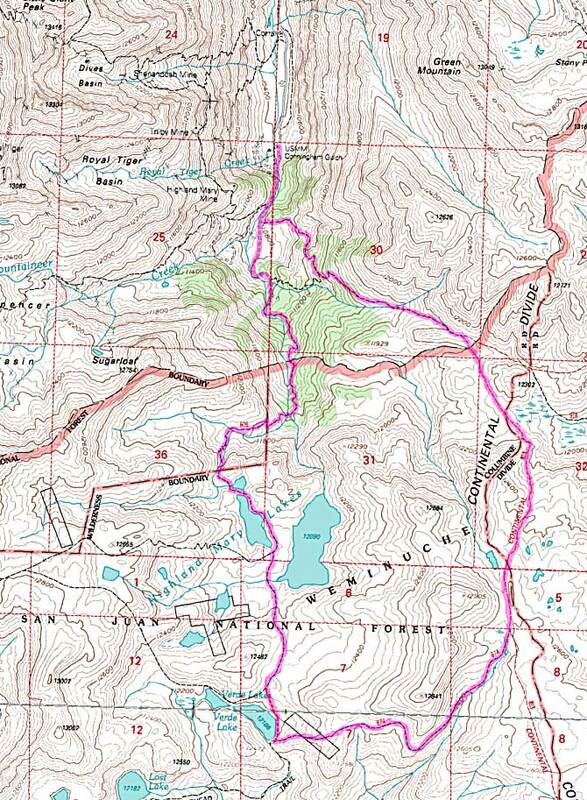 The hike is 7.6 miles in length and can be done as an overnight trip or can be used as an entry point to the Continental Divide Trail that continues south from the area. For directions, maps, and more detailed information, visit the trail writeup posted here: Highland Mary Lakes Cunningham Gulch Loop Trail. The Continental Divide Trail (CDT) is an excellent way to experience the Weminuche Wilderness. This 100 mile section of the CDT trail begins at the Wolf Creek Pass trailhead east of Pagosa Springs on Hwy 160 and winds its way west following the spine of the Rockies to Stony Pass where 4WD road access is available to the town of Silverton. This trail is best hiked in mid July or in September to avoid the August monsoon. There is a plethora of hikes and backpacking trips to be enjoyed in the Weminuche Wilderness, in fact, too many to be mentioned here. Instead of listing some of the trails and their details here, I’m including the maps and books you can use to plan your trip below. 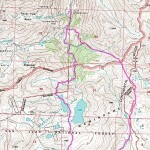 When hiking in the backcountry, maps are a required piece of navigation gear. Personally, I like to use National Geographic’s Trails Illustrated series of topographic trail maps because of their durability, accuracy and ease of use. You’ll find the map I use to explore the Weminuche linked below. 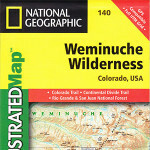 Weminuche Wilderness topographical map designed for backpackers and hikers. Map #140 in the Trails Illustrated series by National Geographic. Needle’s Traverse – Backpacker.com’s 50.5 mile trek through the rugged Needle Mountains is a another way to experience the Weminuche. Donna Ikenberry’s book is an excellent resource for hiking and backpacking trip planners. Although printed in black and white, the maps and detailed trail descriptions are worth the money you spend on this paperback. 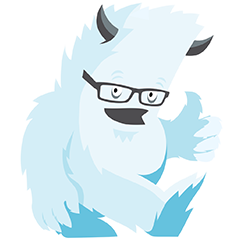 Also included are elevation maps, and guides to finding the trailheads.